Leading backup generator sales and service company fills sales management position with veteran executive. 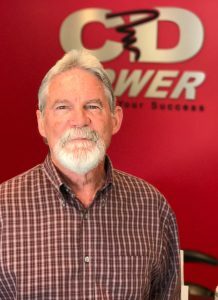 Martinez, CA – July 25, 2017 Brian Benson recently signed up with CD & Power, Inc. as their new Sales Manager. In his role, Benson will lead the growing Northern California sales team. To a squad already steeped in talent and expertise, Benson brings another level of depth. He has already meshed with his CD & Power teammates and become a resource to customers and other team members. Perhaps not a triple-double, but not bad for a couple weeks on the job!